Why brands don’t stand up against Dolce & Gabbana? 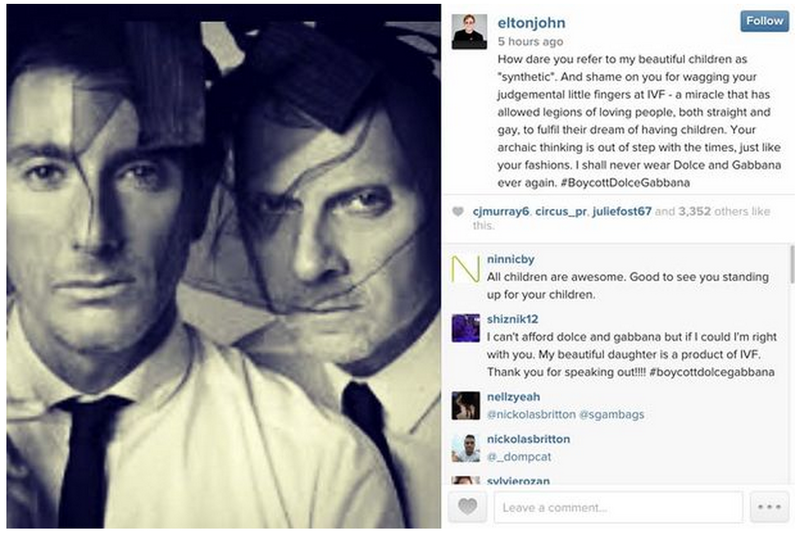 This week Dolce & Gabbana made some controversial statements against adoption by gay couples. They said that the only family is the “traditional” family with straight parents, one and that children born to gay couples via IVF are “synthetic.” Celebrities such as Elton John, Madonna, and Ricky Martin responded with a crusade to boycott Dolce & Gabbana products. Now, here is the question: Why is it that brands that stand for gay rights such as Amazon, Kenneth Cole and Absolut Vodka have yet to weight in? Today, we expect brands to have a sense of purpose and be willing to advocate for it when matters. I understand that one way to respond is by not responding. By ignoring the statement , one can avoid giving additional attention to it. However, as the conversation grows, consumers expect brands to be part of that conversation and to have a point of view. This not only makes business sense, it makes people sense. Today, it is really hard to get people’s attention. A tsunami of branded content surrounds consumers. If a brand constantly occupies neutral ground, it may see a slow drift into obscurity. Add to the fact that 73% of Millennials believe that businesses should share a point of view about issues. And that 73% think businesses should influence others to get involved in an issue (MSL Group, February 2014). Therefore, weighing in on the issues that are part of brand’s core values makes business sense. People don’t want ads, they want conversations. To be human in a digital world means expressing your views in the right moment, not three months later as a part of an advertising campaign. In summary, brands need to compete at the cultural level to be relevant. This means they need to be in sync with the issues that matter and have the capacity to respond in real time. This is a different type of marketing­–one that it is real, live and human. So speak up, socially-conscious brands. Your audience won’t wait forever.